Stephen Furst (born Stephen Nelson Feuerstein; May 8, 1955) is an American actor and film and television director. Furst was a regular in the science fiction series Babylon 5 playing Centauri diplomatic attaché Vir Cotto and as Dr. Elliot Axelrod on St. Elsewhere. 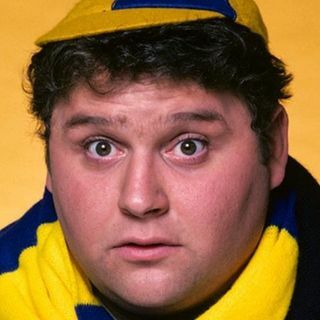 He was also featured, before appearing in either of those roles, as Kent "Flounder" Dorfman in the film National Lampoon's Animal House and its spin-off series, Delta House.Stephen Furst was born Stephen Nelson ... See More Feuerstein in Norfolk, Virginia. He is a graduate of Virginia Commonwealth University's theater program. In 1972, Furst's father died from diabetes complications. Years later, Furst himself was diagnosed with type II diabetes. After almost needing to have his left foot amputated due to diabetes complications in 1996, Furst reduced his weight from 260 lbs to 175 lbs. When filming started for the fourth season of Babylon 5, the show's producers found that all the costumes he had worn during the previous seasons were now too large for him. He wrote the book Confessions Of A Couch Potato, Or--If I'm So Skinny, Why Do I Still Feel Like Flounder? about his weight loss and diabetes, and co-wrote and directed a video called Diabetes for Guys, an attempt to educate about diabetes management through humor. Furst has two sons, both in the entertainment business. His older son, Nathan Furst (b. 1978), is a television and film composer. His younger son, Griff Furst (b. 1981), is an actor, director and musician. His wife Lorraine Wright is an entertainment lawyer. Furst delivered pizza while looking for acting jobs in the mid-1970s, and included his headshot in boxes. After Matty Simmons saw his photo, Furst was cast as Flounder in National Lampoon's Animal House (1978). He reprised this role in the 1979 spin-off series Delta House. Others include 'Junior' Keller in The Unseen (1980), as Gonzer in the feature film Up the Creek (1984), as Dr. Elliot Axelrod in the television series St. Elsewhere (1983–1988), and as Vir Cotto in the science fiction television series Babylon 5 (1994–1998). In 1979 he played the role of an overweight high school tuba player coerced onto the wrestling team in Kieth Merrill's feel-good underdog film, Take Down. Also in 1979, as pointed out above, he reprised the Flounder character in the ABC sitcom Delta House. He also reprised the character and repeated his famous line, "Oh boy, is this great!" in the Twisted Sister music video for "I Wanna Rock." In 1980, he played the character of Harold in the cult classic movie, Midnight Madness, and the character of "Junior" Keller (the unseen) in the horror movie The Unseen. In 1983, he also appeared in a supporting role as Aldo in the provocative ABC TV movie The Day After. In 1989, he played the character of Albert Ianuzzi in the film The Dream Team. In 1983, Furst also appeared in an episode of CHiPs titled "Fun House," alongside Erik Estrada, Tom Reilly, and Heather O'Rourke; in thr installment, Furst acted out a student who belonged to the college fraternity "DDT." Although not a regular, he also appeared in the short-lived 1992 TV series The Amazing Live Sea Monkeys.In the 1995 animated TV series Freakazoid!, he voiced the character Fanboy. Also in 1995, he took a hiatus from Babylon 5 to star in a short-lived TV series, Misery Loves Company. In 1997, he played Derby Ferris in Little Bigfoot 2: The Journey Home. He also voiced a young Colonel Hathi in Season 2 of Disney's Jungle Cubs, had a starring voice role as Booster in the 2000 series Buzz Lightyear of Star Command, and also played a hulky walrus named Dash in the 2000 Disney movie The Little Mermaid II: Return to the Sea. He starred in Magic Kid and its sequel. In 2002, he guest starred in an episode of Scrubs.Furst has directed many independent and/or low-budget movies, including the low-budget movie Title to Murder starring Christopher Atkins and Maureen McCormick in 2001 and the direct to video children's movie Baby Huey's Great Easter Adventure. Furst directed three low-budget movies for the Sci Fi Channel, Dragon Storm in 2004; and Path of Destruction and Basilisk in 2005; he also co-starred in both of the latter two films.